Beautiful trail with great view of Lake Eufaula. Rail enthusiasts, bird watchers, history buffs and nature lovers all enjoy this rail-trail. There is a bald eagle's nest located along the trail. All types of water fowl. Trail surface is paved with several nature trails off of it. Walking, biking and pets allowed. Handicapped accessible. Location: Paved rail-trail and adjoining natural surface nature trail in the City of Eufaula, in east-central Alabama. 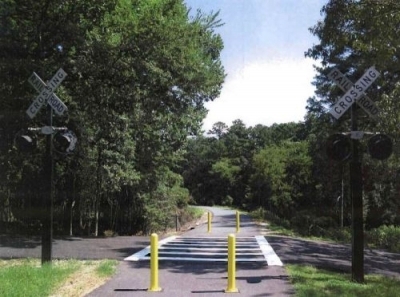 From east or west: travel US Highway 82 into Eufaula; US 82 becomes East Barbour Street; turn north onto North Livingston Avenue; restored depot and welcome center will be on the east side of the street. The Yoholo Micco Creek Indian Trail has been an important addition to the City's attributes that provide it's citizens and visitors a unique opportunity to see the natural beauty of our area in combination with the rich history of Eufaula. It has been integrated with other efforts toward sustainability of an excellent quality of life that will have far reaching benefits for those who follow us on this journey. Buildings, contributed materials and labor to build benches and picnic tables to be enjoyed by users of the trail. Eufaula was chosen to host the State Arbor Day this past year at which time over one hundred trees were planted at the entrance of the trail. The Alabama Urban Forestry Commission recently presented their Project of the Year to the Horticulture Department in recognition of these plantings. The trail is named for Chief Yoholo Micco, the Creek Indian leader of Eufaula Town who was driven from this area with his people in 1836. They followed the Trail of Tears to Oklahoma and settled. He is commonly referred to as Chief Eufaula. 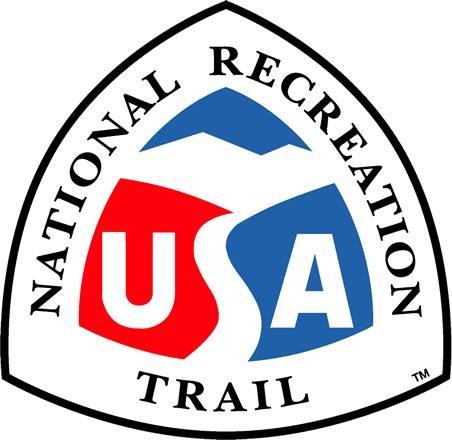 The trail begins downtown with the trail head in front of the Eufaula/ Barbour County Chamber of Commerce winding along and then crossing Lake Eufaula on the old railroad trestle, through residential areas and ending at Old Creek Town, the site of an old Indian village. The surface of the main trail is paved making it perfect for hikers, runners and bicyclists. Several nature trails have been created off the main trail. One of them takes you through old hardwood forest to a beautiful waterfall. Another trail leads you to the historic Fairview Cemetery. A park now known as "Treehugger Park" has been created where people can enjoy a picnic. Trail along Lake Eufaula. Photo by Rob Grant. Squirrel crossing! Photo by Rob Grant. Biked the trail this afternoon, a little wind blowing, all kinds of birds, bridge path over lake awesome view, mostly easy, some gradual elevation, through the campground, lots of trees and blue sky. I passed several walkers, families, groups of friends, and individuals, young to as old as me! It was great! So glad I went. Eufaula what a beautiful trail, well tended. Thanks.